The Lithuanian legislature decided against a new inquiry into a secret US torture facility in the country, despite a damning US Senate report released three months ago which indicated its existence. “No new inquest will be considered, because there is no longer sufficient support for it among parliament members,” Loreta Grauziniene, speaker of the Lithuanian parliament, told Reuters on Friday. Allegations that the CIA set up and ran a secret detention center near the country’s capital of Vilnius between 2004 and 2006 were investigated in 2009 and 2010 by a parliamentary committee. The inquiry concluded the CIA did operate flights in and out of Lithuania, and that there may have been as many as two secret facilities for what the CIA termed “enhanced interrogations.” The committee added that such information could not be confirmed because US officials refused to cooperate. When a heavily redacted US Senate report on secret CIA prisons came out in December 2014, it did not identify any countries by name. However, the descriptions of the facility identified as 'Violet' closely matched the Lithuanian parliament’s original report. Arvydas Anusauskas, the lawmaker who led the inquiry, told the media that the Senate report had made a “convincing case” that prisoners had been held in Lithuania. Prime Minister Algirdas Butkevicius expressed hope that there would be another parliamentary inquiry, and that information would be “shared and exchanged” this time around. Former president Valdas Adamkus, however, insisted to the local media that he would continue to believe “there were no prisons or prisoners in Lithuania” until he saw “documents before my eyes” proving him wrong. No further explanation was given for Friday’s decision to drop the inquiry. It comes as hundreds of US troops and vehicles deploy to Lithuania, Estonia and Latvia as a “deterrent” to alleged Russian aggression. 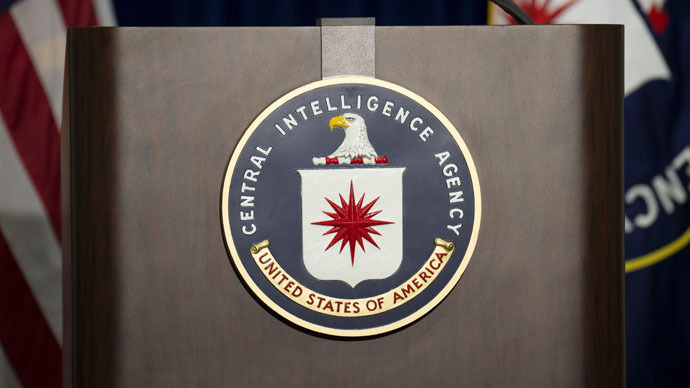 Human rights groups have criticized Lithuania’s complicity in the CIA’s secret detention program, as well as its reluctance to investigate claims by Guantanamo Bay detainees Abu Zubaydah and Mustafa al-Hawsawi of being held and tortured at the CIA facility in the country.